Sonny Rollins grew up in Harlem’s famed Sugar Hill district at a time when bebop was king. He and his peer group of future jazz musicians were heavily influenced by the new music. Sonny began performing in his teens with Charlie Parker, J. J. Johnson, and Thelonious Monk and recorded with Bud Powell’s group in 1949. In the early ‘50s he performed with Miles Davis who recorded several of Rollins’ compositions. 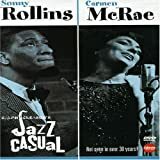 Rollins’ first album as a leader came out in 1951. In 1955 he joined the Clifford Brown/Max Roach group, and the following year he recorded his critically acclaimed Saxophone Colossus. Many consider his 1957 releases, Live at the Village Vanguard (two volumes) and Way Out West, some of his finest work. Both are early examples of the pianoless group. Until John Coltrane rose to prominence, Rollins was jazz’s preeminent tenor saxophonist. He was noted for his ability to inject new life into popular songs through what historian Gunther Schuller called “thematic improvisation,” a spontaneous reworking of a stated theme. 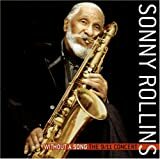 Many of the songs seemed unlikely candidates for improvisation: “I’m an Old Cowhand,” “Wagon Wheels,” and “Sweet Leilani.” Rollins also experimented with new time signatures and brought the calypso rhythms of his West Indian heritage into his performances. 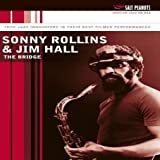 In 1959 Rollins withdrew from public appearances and began practicing his saxophone on the Williamsburg Bridge. When he returned to record in 1962, his first effort was entitled The Bridge. Over the next few years he delved into free jazz, worked with Jim Hall, Don Cherry, and Paul Bley, and became noted for his brilliant marathon solos. In 1966 he dropped out of public life again to pursue his interest in eastern religion, spending time in an Indian monastery. He returned to the studio in 1972 and began experimenting with R&B and funk. In 2001 Rollins was just six blocks from the World Trade Center when it was attacked. Four days later, he kept a performance date in Boston and recorded Without a Song: The 9/11 Concert as an effort to heal America’s wounds through music. Many of Rollins’ compositions are in the standard repertoire of jazz musicians: “Oleo,” “Airegin,” “St. Thomas” (based on a traditional melody that his mother sang to him), “Doxy,” and “Pent-up House.” He also scored the 1966 film Alfie and performed on the soundtrack. In 2004 he received a Lifetime Achievement Grammy. Charles Blancq’s book Sonny Rollins: The Journey of a Jazzman is out of print. For the curious, Rollins’ nickname “Newk” resulted from his physical resemblance to Brooklyn Dodgers pitcher Don Newcombe.